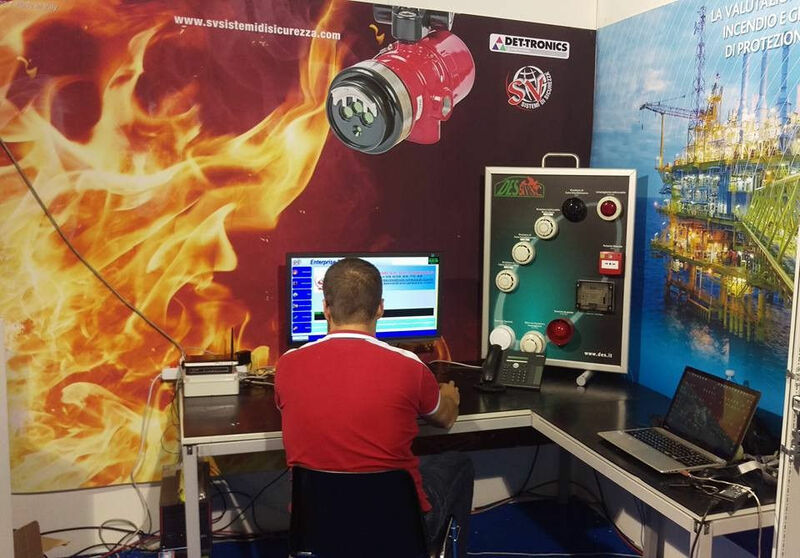 TELESERVICE FIRE AND GAS FOR FIREFIGHTING SYSTEMS IN THE FIELD. 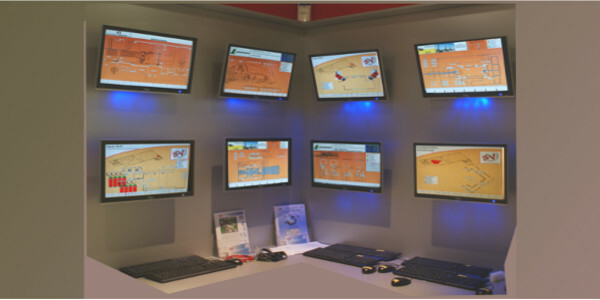 The WEB-FIRE control room has been designed with the specific goal of being able to monitor the modular units of the EXFIRE360 panel?exploiting also advanced diagnostics developed to meet the functional safety requirements in all aspects of hardware and software, as well as monitoring the condition of detection and extinguishing systems connected to it. The Team SV?Sistemi di Sicurezza?makes available to its?members a series of physical and computer support for the resolution of the problem or an improvement of the fire protection system plan, creating? in the customer total confidence in the protection and rescuing of human life?management. In?today’s dynamic market, customers demand innovative solutions that increase business agility, optimize productivity and achieve sustainability objectives, all?reducing the total cost of ownership. An?evaluation beyond the cost of the equipment and an improvement of?business performance is needed in order to compete efficiently in this global market. 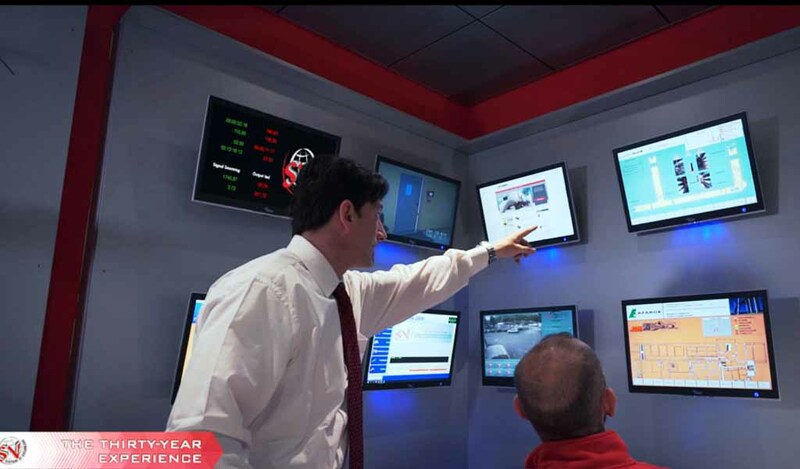 SV?Sistemi di Sicurezza?can help you improve your performance with solutions and services?reducing the?total cost and meeting the needs of your customers. ARCHITECTURE OF REMOTE FULL ENCRYPTION MULTICHANNEL SYSTEM BASED ON DATA EXWEBSAT. In order to?provide efficient and flexible methods to the customer, a company?must have a strong technical and cultural organization about fire systems, experience acquired over the years, electronic and advanced software instruments, declarations and certificates that contain the life cycle of the production process, all targeted to have a proper remote management and facilitate troubleshooting, overcome user errors and reduce time?of resolution. Field signals and panel boards diagnostics Service. Possibility to adhere to the remote management service of the Fire-Figthing & Gas signals from the field by detecting the anomalies of the system, call warning to the customer of the unprotected areas by the fire system, the automatic intervention of the technician is not expected?in this package, it occurs only after consultation with the managers of the customer. 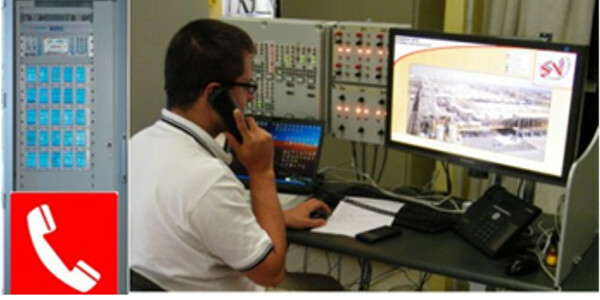 Possibility to adhere to teleservice fire and gas management service of the power control unit operation and circuit boards, hardware blocks to verification of the controlling signals from the field by monitoring the system hardware, in this package you can consider the automatic intervention the technician. Online periodic maintenance monitoring service. Possibility to adhere to periodic maintenance Online service, often, after starting,?the plants are repeatedly repaired?by?the customer?internal or external personnel. This package is useful to assure the customer that the operators who carry out the firefighting?maintenance of the provided signals, after the alarm they are automatically compared with the signal of the original list of the start-up, if everything matches will be drawn up a document with positive outcome, otherwise the customer will be notified about the untested equipment. The “DPR” service (project documentation of the remote file storage) is useful for everyone, from the customer to the operator in the field, it consists?in a dedicated 500 Mb web space reserved with multiple password levels access, where the whole project technical documentation generated for the start of the plants will be stored?in our virtual servers, updated according to future events and accessible by the user. The standard requirements are expressed in general reports and reports of the carried out maintenance, planimetries installed equipment and data sheets; block diagrams,?wiring and dimensional diagrams, I / O list 4-20mA signals, Historical Archive of events, manuals, backup of programs and software. All these documents?are accesible?through the Internet browser?by the customer for an audit, by a technician for a?planning download,?etc. …, and so from the internet browser by accessing the website www.svsistemidisicurezza.com, the user can work in safety.